Migration Management App is a leading case management software built by GoldenLion on the award-winning Zoho Creator platform. It’s a productivity tool that helps you stay organized with your clients, law firms, lawyers and assistants. 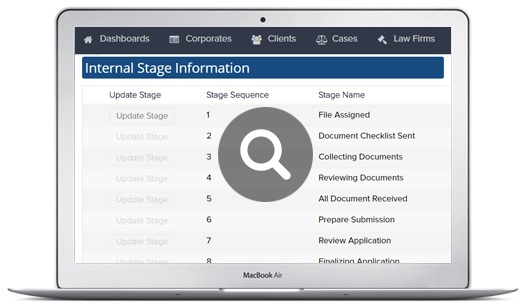 You not only manage the entire lifecycle of a case but give your clients access to update and monitor their case status. It combines everything that’s required by a migration agent and lawyer into one single place. Define Case Country, Service Category and Service Name. Define all Internal and Government Stages with duration. Checklist to validate each stage is completed or not. Define Document Country, Document Type and Name. Associate family members applicable to a document. Country, Province, City, Citizenship etc. Capture key people (Lawyer, Assistant, LPO and Client). Capture Associated Law firm, Case Duration. Case Category, Case Sub Category, Case Country. Case Stages (Internal and Government Stages) with duration. 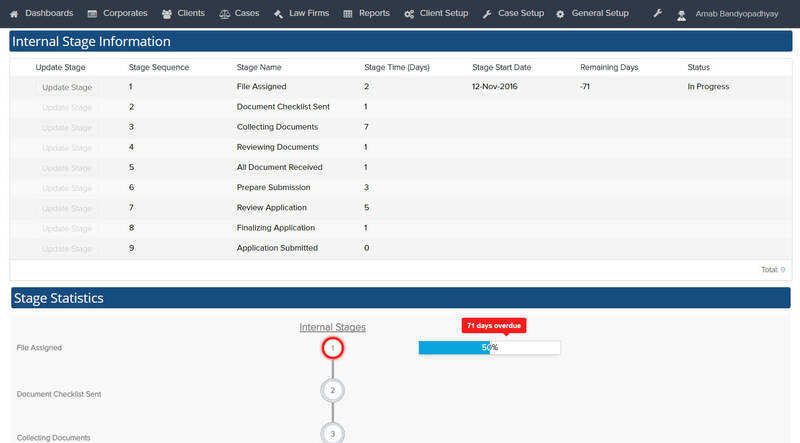 Advanced Analytics to track case progress and stages. Track Outstanding, Pending, Reviewed, Approved, Rejected. GoldenLion has a fabulous and hardworking team, we were able achieve almost everything as per our wish list, we have great input from team lead from their side on every step of development. Our overall experience with GoldenLion is fantastic, they have a great customer service, they meet the deadlines as promised. Migration Management App is built on the Premium Edition of Zoho Creator. Further if you wish to take advantage of Customer Portal – you need to be in Express Edition or above. We will deliver you Migration Management App within 10 Working Days. How Much Does Migration Management App Cost? Migration Management App is available at an One-time fee. However you need to pay subscription fee for Zoho Creator. Can I Further Customize Migration Management App in Future? Can I Have a Demonstration Before I Buy Migration Management App?